It's been a long time since we've seen the iconic horror figure Michael Myers on screen, and even longer since we've seen a good Halloween movie, for that matter. But with Blumhouse currently working on a new Halloween that creator John Carpenter has approved and is producing, there is hope on the horizon. To further fuel the hopefulness many of us have for this latest Halloween entry, we now have a look at the first promo poster, and it is very reminiscent of the original classic. Blumhouse brought some of their upcoming titles to the Licensing Expo, which is currently taking place in Las Vegas, and one of those titles just so happens to be Halloween Returns. As such, they have the first couple of promo posters on display. Both feature the same image, but one is more of a wide, full display, while the other is a more thin, vertical version of the same poster. In both cases, they look to be heavily influenced by the first poster for the original Halloween, but without being an exact copy. The poster features some instantly recognizable iconography, with a gloved hand holding a blade, heading in a downward motion. The top of the poster has the title Halloween in bold, classic lettering, with a 2018 release teased on the bottom. It hasn't even started filming yet, but this is a damn fine first piece of marketing material, as minimal as it may be. 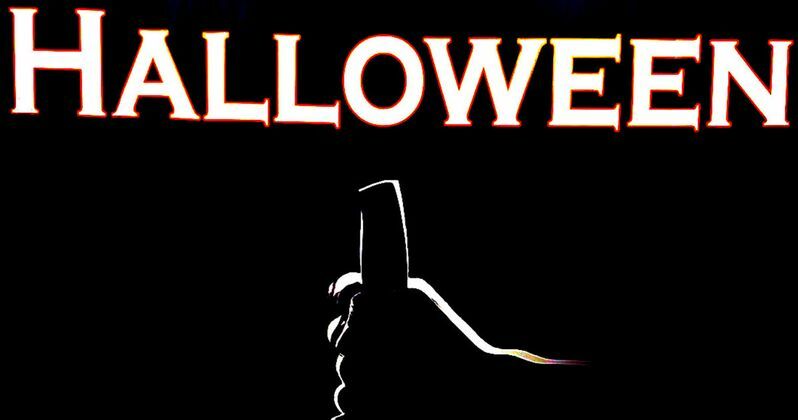 It has been said by Danny McBride, who is co-writing the new Halloween with David Gordon Green, who has been tapped to direct, that this outing will make Michael Myers scary again. If this poster is any indication, it looks like the upcoming Halloween will be taking its cues from the early John Carpenter classic, as promised. Danny McBride has also said that this new Halloween won't be a reboot, but it will be reworking the mythology a bit. The story will ignore many of the later sequels, but will remain in the continuity of the original two Halloween outings. So it will be a sequel/reboot hybrid of sorts. The horror thriller is said to be shooting this fall, so we should be learning more soon. Especially with the release date already locked down for October 19, 2018. While John Carpenter won't be directing, he is on as an Executive Producer and has praised the take that David Gordon Green pitched. There is also a chance that he will be returning to do the score, which would definitely help it feel like an authentic Halloween movie. Casting has not yet started for Halloween, so we don't know who will be putting on the mask and taking up the mantle of Michael Myers this time around, but expectations are very high. We will be sure to keep you updated as more information on Halloween Returns is made available. For now, you can check out the first Halloween promo posters for yourself below. First promo poster for the new HALLOWEEN movie echoes the original's poster with a few changes.